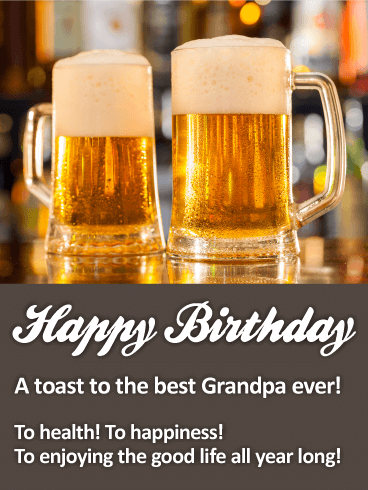 Happy Birthday - A toast to the best Grandpa ever! To health! To happiness! To enjoying the good life all year long! Don't forget your grandpa! It's almost his birthday and a cheerful birthday message will make his day. 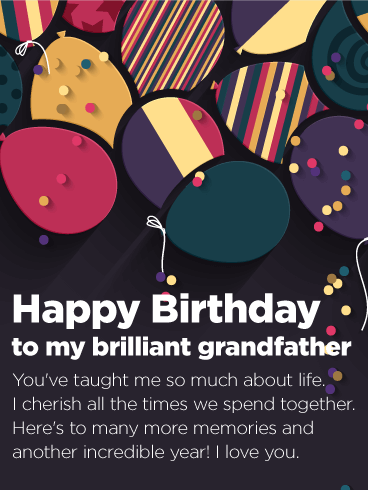 Send a thoughtful birthday card to your grandpa today. It's fun, simple, and fast. Whether near or far, your grandpa will feel loved and know you are thinking of him. 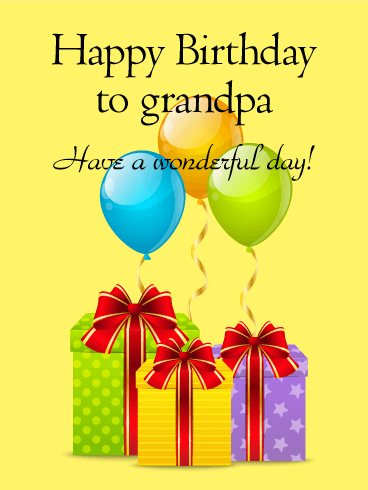 Wish your grandpa a wonderful birthday with this colorful and happy birthday card. Make it a delicious day. 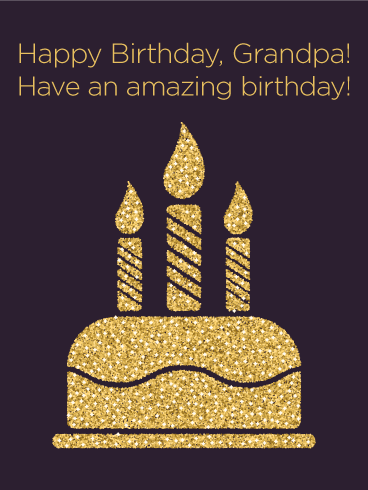 Wish your grandpa a happy birthday with this festive and elegant birthday card. 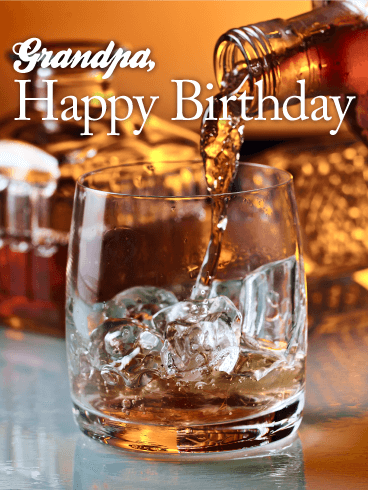 This rich and sweet birthday card will make him feel like a million bucks. 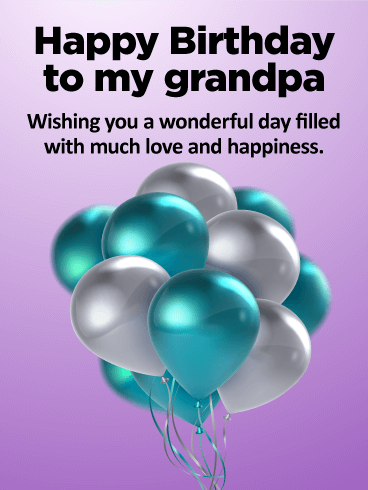 Don't wait to send this thoughtful card to your dear, grandfather. 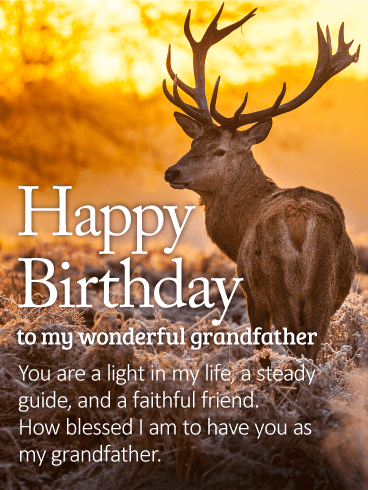 Light up his life and brighten his day with a great birthday card that lets him know how much you care. Grandpas are the best! They are the icing on the cake and the gooey-sweet center. They are simply the tops and all-around fantastic. 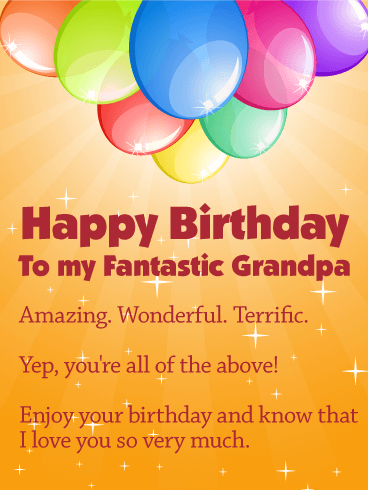 Wish your awesome grandpa a happy birthday with this fun greeting card. It's bright and lively and let's your grandpa know you think he is the greatest. 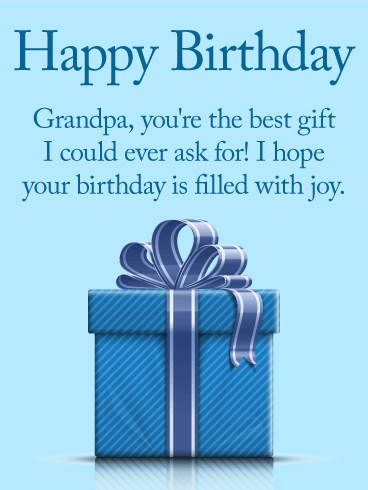 It's easy and fast to send a birthday card to your grandpa. The thoughtful gesture will warm his heart. 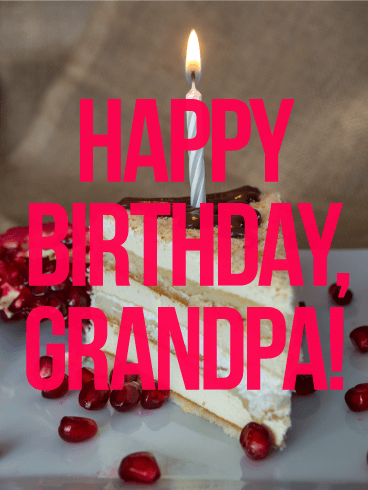 Celebrate your grandpa's birthday with a unique birthday card. This birthday card is all sugar and spice! 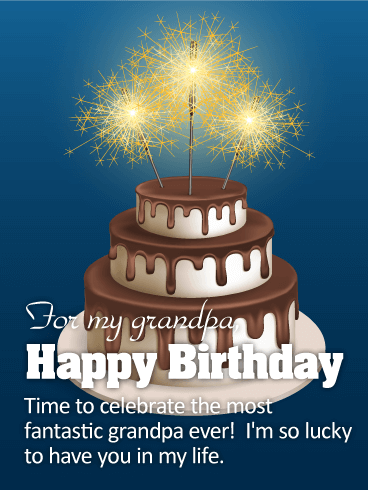 Send your grandpa a sweet and thoughtful birthday card today. 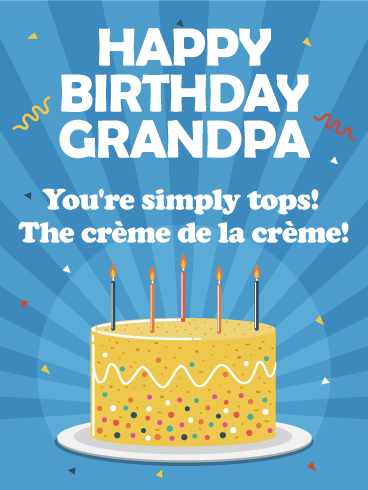 Wish your grandpa an amazing birthday with this perfect card-it's easy to send, and fun to receive! Your grandpa will appreciate your thoughtfulness, and be reminded of your love. 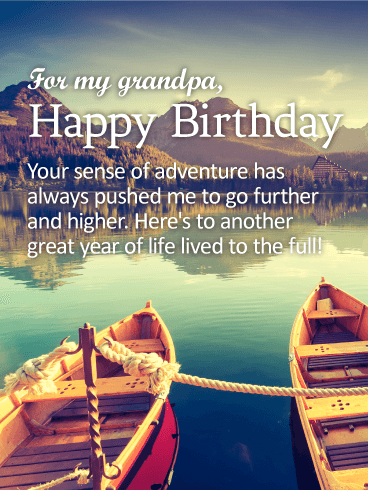 Don't let the day go by without wishing your dear grandpa a very happy birthday.